This blog covers a lot of territory, from practical marketing tips to just-for-fun side trips. Whether you’re in the SEO fast lane or the R&R slow lane, you can chart your own course, read at your own pace and reach your own destination. Along the way, you never know what you’ll find – from insights about marketing communications to the inside scoop about the best turtle sundae on Route 66. Here, you can travel in real or virtual time. 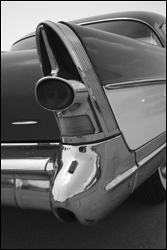 Follow the classic cars, the Lincoln trails, Route 66 Scenic Byways, or Interstate and Internet highways. Discover the Mother Road or other attractions in America’s heartland. Watch for mischievous Shelties on the Dog Blog, annual Elvis sightings in Springfield, Ill., or jolly giants and other kitschy roadside art and architecture. Learn about Abraham Lincoln and friends, too.